Unit 19 Yarrow Business Centre will be available To Let from July 2016 at the rate of £11,500 p.a. + VAT. 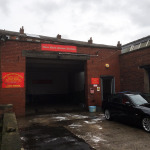 The unit is around 5,500 sqft with large electric roller shutter access and separate personnel entrance door. It includes three phase electric supply, kitchen and W/C facilities, storage and office areas, as well as a large open work/manufacturing area. The unit would suit a wide range of users, including trades, small manufacturing operations and storage. For full details, please click here to download the PDF leaflet, or for a no obligation viewing of the unit, please contact us on 01257 231100. 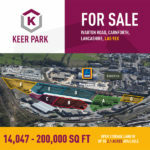 We are delighted to bring to the market our new development at Keer Park in Carnforth. The development comprises a series of steel portal framed warehouse/ workshop units located within a fully secure site just minutes from junction 35 of the M6. A total of over 160,000 sqft is available and unit sizes can be configured to suit individual user requirements. The site benefits from large areas of surfaced open storage and HGV parking/circulation space which can be offered with the individual units or separately.